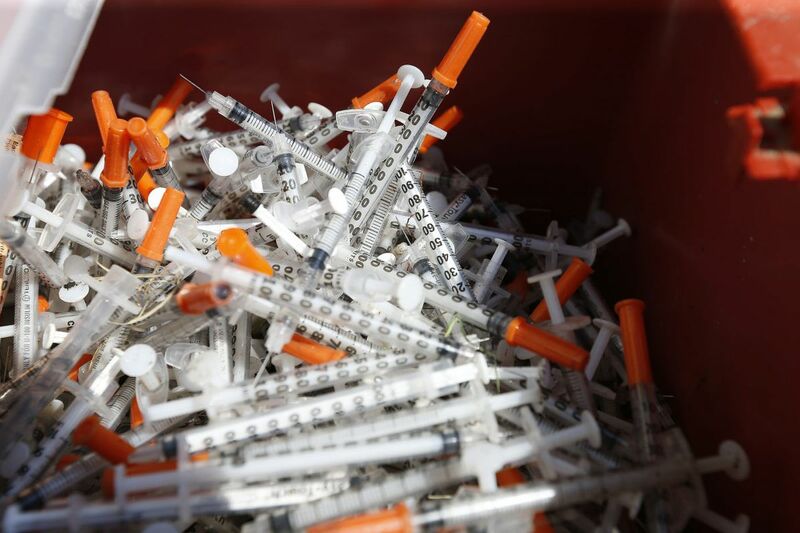 The Kenney administration's announcement Tuesday that it will allow safe injection sites for heroin addicts is almost certain to politicize an issue that had been widely seen as a public health crisis. But in a political environment in which the Trump administration is threatening to crack down on marijuana use in states that have legalized the drug, it's hard to imagine that government-sanctioned heroin use will win unanimous support. That could add a new dimension to this year's races for governor, U.S. Senate, and competitive House races around Philadelphia that Democrats hope to flip in their bid to retake Congress. In Harrisburg, House Speaker Mike Turzai, a Republican running for governor, termed the initiative "misguided public policy" and called on Gov. Wolf to ask the city to "cease and desist" from promoting safe injection sites. Wolf acknowledged that such sites present "a number of serious public health and legal concerns," but signaled he would not stand in the city's way. Amid an opioid epidemic ravaging the country, there is broad agreement across the political spectrum that users need access to treatment. There is also an emerging consensus that addiction is a disease and that the epidemic can't be solved by throwing drug users in jail. But supervised safe injection sites could be seen as a dangerous liberal experiment that threatens law and order, as so-called sanctuary cities have fueled the immigration debate. Mayor Kenney, a Democrat who has clashed with the Trump administration, has called safe injection sites "humane." Yet he was conspicuously absent from Tuesday's announcement. Despite his administration's support, the initiative still could face local backlash. Councilwoman Maria Quiñones-Sánchez, whose district includes Kensington, where the epidemic is most pronounced, said she was worried about "open-air drug encampments where people are drug addicts who we all recognize have no control of their disease are allowed to be lawless." She added: "That would not be allowed in South Philly. It would not be allowed in Rittenhouse. And it should not be allowed in the barrio." Councilwoman Cindy Bass, who chairs Council's Public Health and Human Services Committee, said she plans to introduce a resolution Thursday calling for public hearings on the initiative. City spokesman Mike Dunn said Council approval is not required for the sites. Still, the move is bound to be controversial in Harrisburg, where Republicans control the Capitol and many GOP legislators have groused about Philadelphia approving measures that flout state law. "I think it's a stark violation of federal law," Turzai (R., Allegheny) said, adding that he also will have his staff look into whether it violates state laws. In his statement, Wolf made it clear his administration would not seek to start such sites — saying expanding access to treatment and the overdose-reversal drug naloxone are the best options for combating the crisis. But he said he is sympathetic to "the desire of local governments to try to save lives." Wolf has called the opioid problem an "epidemic" in Pennsylvania, and has made treatment and prevention a policy cornerstone of his first term. Earlier this month, he declared a statewide emergency over the heroin and opioid crisis, a move that he and other state officials said would allow them to temporarily override rules or regulations they perceive as hampering efforts to address the problem. Christopher Borick, a political scientist at Muhlenberg College in Allentown, said the opioid crisis blurs traditional ideological lines "because of how deep this epidemic is."